I am the Exchequer for the Kingdom of An Tir, and a ciitzen of Glymm Mere. 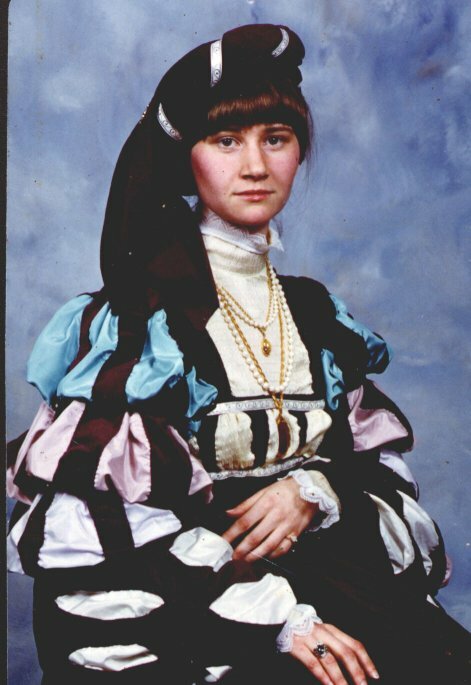 I began in the SCA in 1980. 50 projects by 50 year - Here is a webpage with my progress. Costuming - this is an example of a 12th night gown I made for a friend. 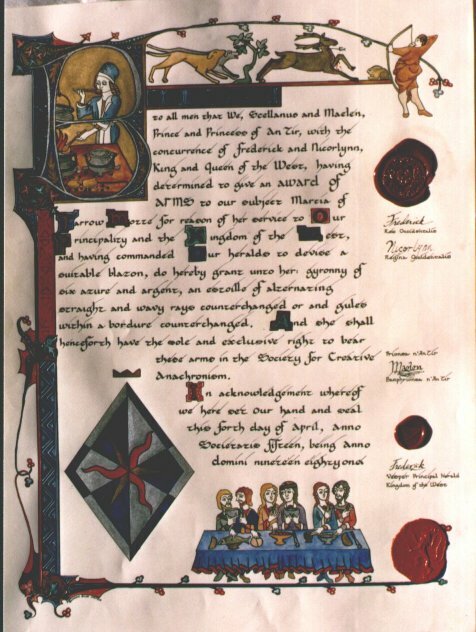 Calligraphy - here is a scroll I did some time ago for an award of arms in the SCA. Writing - This was the diary that I did for an Amber game. Gaming - currently I am running a game - the galaxy rangers, and playing in a 3.5 edition D&D game. I started playing RPG's back in 1976. Graphics and programming - I just started programming a few years ago and am now working as a programmer. I like to play with graphics and web design.